This nutritionally advanced a2 Milk™ drink is the only pre, during & post pregnancy formula to contain only the naturally occurring A2 type of the beta-casein protein to the exclusion of the A1 type of beta-casein protein, to help ensure mothers and expectant mothers gain full nourishment from their diet which contains a variety of foods. 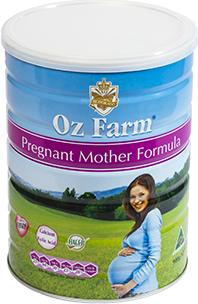 ..
76% of pregnant mothers choose Maternal women milk powder because it has more comprehensive nutrition than regular milk 59% of mothers are more concerned about the nutritional content of Maternal women milk powder 49% of pregnant mothers, during pregnancy, an important nutrient factor in the choice of a maternal women milk powder supplement is whether folate is added in this product. ..